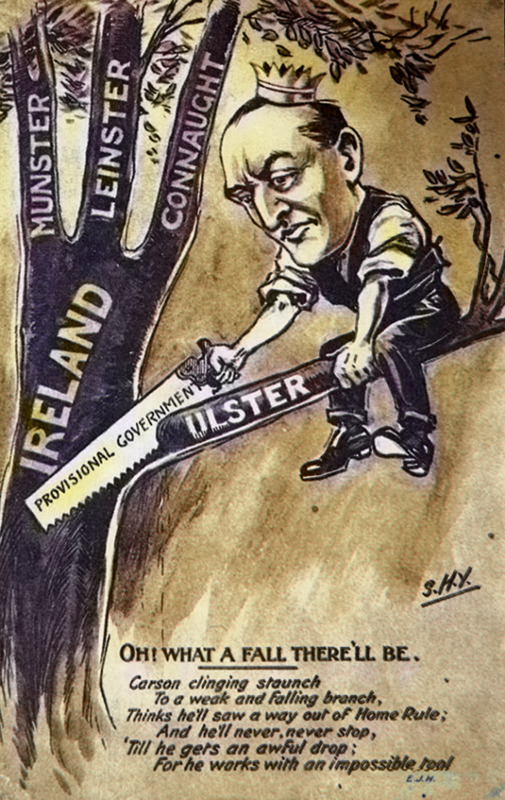 BY the end of 1913, the campaign against Home Rule for Ireland organised by the Ulster Unionists and their allies in the Conservative and Unionist Party (the Tories) in Britain had reached a crescendo. The Ulster Volunteers had been established as well as a provisional government which threatened to seize power if Home Rule became law. The Liberal Party was in government in Britain and had introduced the Home Rule Bill with the support of the Irish nationalist MPs in Westminster. They had abolished the veto of the House of Lords and Home Rule was due to be implemented in 1914. The Tories seized on the issue of Home Rule as the most effective weapon to bring down the Liberals. Leading members of the British landed aristocracy, capitalists and senior military figures jumped on the bandwagon and backed up Unionist leader Edward Carson with threats of civil war if Home Rule was brought in. Amidst the political frenzy there were very few Protestants in Ulster who were prepared to oppose Carsonism. But there were some and among them was the Reverend J.B. Armour of Ballymoney, County Antrim. A minister of the Presbyterian Church, Armour stood out from most of his co-religionists in advocating self-government for Ireland. In 1893, he opposed a resolution at the Presbyterian General Assembly condemning Gladstone’s second Home Rule Bill. He was also a strong critic of landlordism. In 1913, he again opposed a resolution against Home Rule at the Presbyterian General Assembly. Armour organised a public meeting of Protestants in Ballymoney to support Home Rule and oppose Carsonism. Banners in the hall proclaimed “No provisional or provincial government for us” and “Ulster for Ireland and Ireland for us”. The resolution stated that the meeting of Protestants of Ballymoney and the protests in The Route (in County Antrim) “against the claim of Sir Edward Carson and the self-constituted Provisional Government of Ulster to represent the Protestant community of north-east Ulster” and “disputes the narrow claim that differences of creed necessarily separate Irishmen and women into hostile camps”. Among the speakers at the Ballymoney meeting were JB Armour himself, historian Alice Stopford Green, Jack White, son of a British Army general and later a leading figure in the Irish Citizen Army, and Roger Casement, who was executed in 1916. 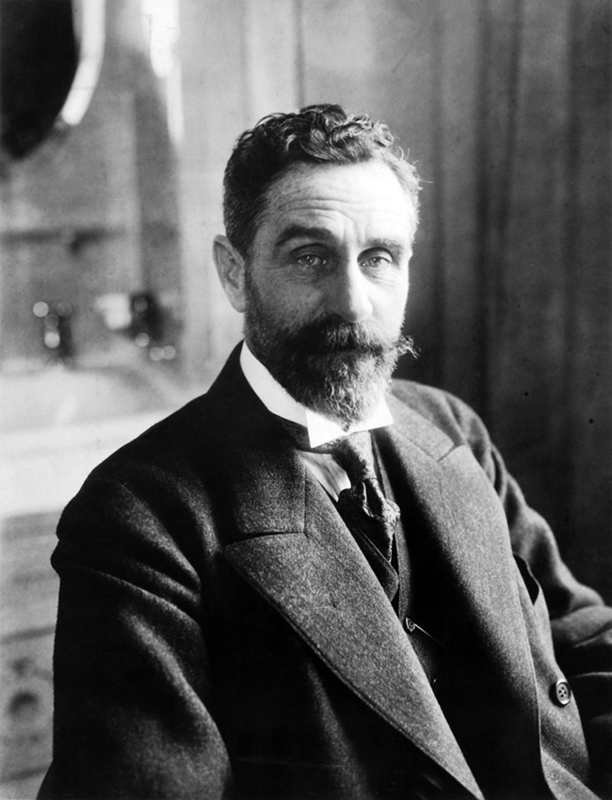 This was Casement’s first appearance on a political platform. With his Antrim family background, Casement regarded the occasion as hugely significant and in his speech he denounced any notion of partitioning Ireland. The meeting was a once-off and failed to turn the tide of Carsonism but it did show that a significant minority of Protestants in the North-East were still prepared to stand up for Irish unity and self-government. The meeting of Protestants in Ballymoney in support of Irish self-government was held on 24 October 1913, 105 years ago this week.